Over centuries translations services have played a very key role in help bridge people because there are hundreds of languages in the world but only few can speak or learn to speak different languages because the most important thing in the world is Communication and when there is a failure in communications there is confusion. That is why if you want Growth which is very difficult to achieve and if you want cultural understanding of a different languages translation is the key. It is the only way to un-stagnant and usher understand and meeting of goals. That is why it is so important to hire some professional translators will never let anything go wrong and ensure a smooth transaction of business. Why communication is so important because it the only way two ideas can meet even if there is a language barrier and lest we forget it is our a basic instinct to communicate. And when you have people who have the capability to communicate in the original message i.e. language it will send a clear message and context to the target audience and business you want to capture. Also good communication helps in maintaining building good relationships which is essential to future growth. That is why communication is so vital to maintaining and creating those relationships and Resala translation services is the best. With professional translators it is possible to sustain relationship for a very long time and professional translators help it make possible. The main job of translators is simple is to provide an effective channel and means of communication. That is why it is important to efficiently translate an original text by word-per-word basis and when that happens it helps in delivering the genuine context of the message to the language which will help the partners who do not speak your language understand and there will be no confusion. The job of a translator is not very easy and the job demands accuracy of the highest level and a single mistake in context translation can result to miscommunication message that can lead to confusion, misunderstandings and strain in relationship between people. That is where the skilled translators take care of every single detail of the translation process and it does not matter if it is a small or big assignment. Professional language translation services like ALRasala translation help make the client feel confident and ensure every word reads and sounds locally correct. So it is clear that accurate content and context are key to quality communication. Ideas much be shared but when there is language barrier it is very difficult to achieve it and this can have impact on growth and development. So in order to achieve this translation is key because it helps in fair trading or exchange of knowledge and resources which has become a very common practice all over the world of business. Also in business it is not only essential to understand the culture of the target clients but to communicate using the context in local language. This is another key role of professional translators that must be played to perfection because understanding the language is important for understanding culture and customs is also equally essential. All over the world these days business are employing professional translation services to convert a single message to many different languages in the world because we are becoming a multi polar society. The more languages a single message can be translated easier it becomes to reach out to diverse people. That is why a lot of special impetus is being given to Legal Russian Translation because Russia is fast becoming one of the most important countries to do business and when there is freedom in exchanging goods and skills global progress can be attained and this is again only possible with the aid in this better than professional translators. One must always respect the culture of other people and if you know how to appreciate, promote or share culture across continents it will be very helpful in getting many deals signed. That is why, it is important hire a translation agency which can not only be able to accurately translate but also have an in-depth understanding of culture. UAE is fast becoming the destination for business because the environment is very conducive and businesses from all over the world come here to invest and create new opportunities and that is where culture comes into play. In this region culture matters and not only the local customs are respected but also customs and cultures are equally respected and sometimes culture promotion will remain un shared and uncultivated. In such events lack of culture sharing are quite impossible, if not chaotic. So the best thing to do is hire a competent translation agency who have the right expertise because translating is a complex task that demands perfection and offers indispensable functions. When so much is at stake it is necessary that crucial responsibility is only given professional translators who have the ability to carry out the tasks without any complications. 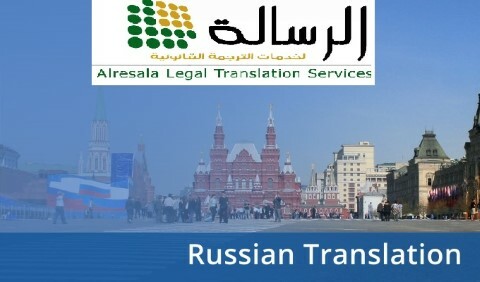 Translators and interpreters are the bridge between cross-cultural communication among businesses and converting written or verbal language is the key to happy relationship and interpreters and translators play a vital role in global business Russian Translation in dubai .